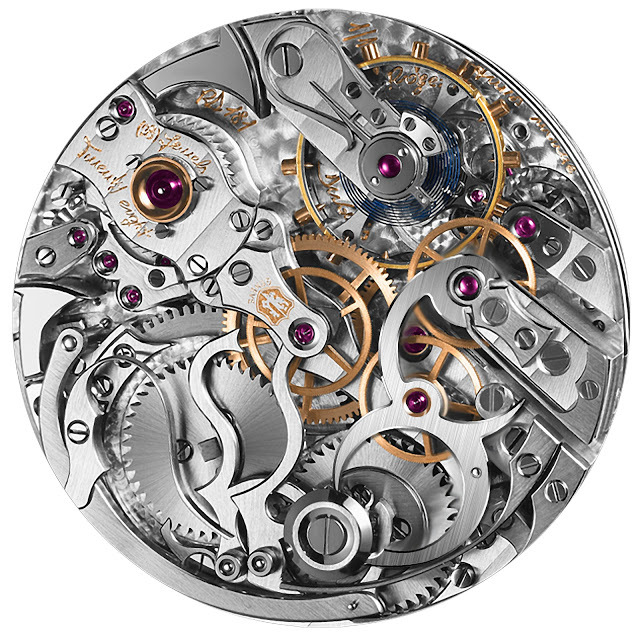 Equipped with a rejuvenated 19th century grande complication movement blank, the Roger Dubuis Hommage Millésime is a unique pocket watch that will be the first in an annual series of one of a kind grand complications. 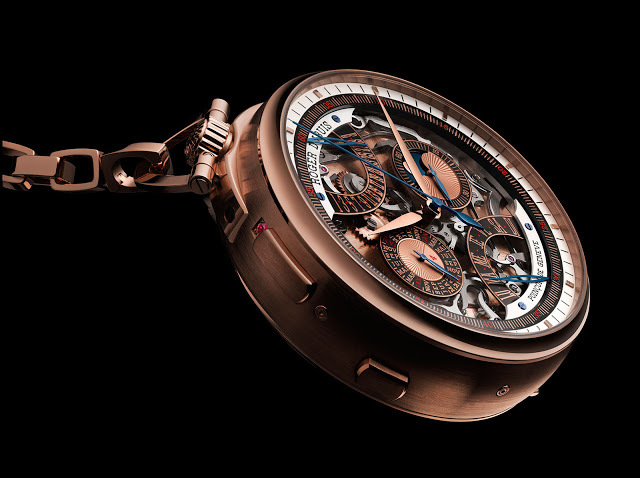 A pocket watch featuring a minute repeater, chronograph and the brand’s trademark bi-retrograde perpetual calendar, the Hommage Millésime is a return to its roots for Roger Dubuis. Some will remember that when Roger Dubuis first started his own brand, several of the early wristwatches had restored vintage movements inside. Equipped with an antique grande complication movement blank that has been completed and finished only recently, the Hommage Millésime is the first of an annual series of a unique timepieces each powered by a restored vintage movement. 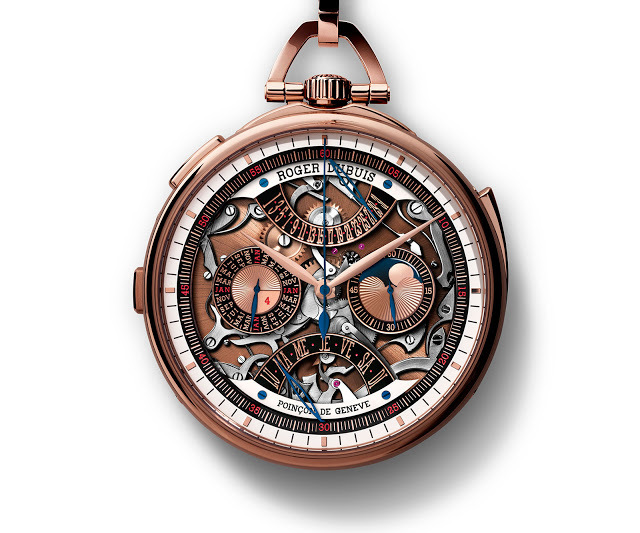 The first Hommage Millésime contains a 19th century ebauche (movement blank), one of several Mr Roger Dubuis acquired when he first established his own brand. That hoard of ebauches has been passed onto his namesake firm, now owned by Richemont. 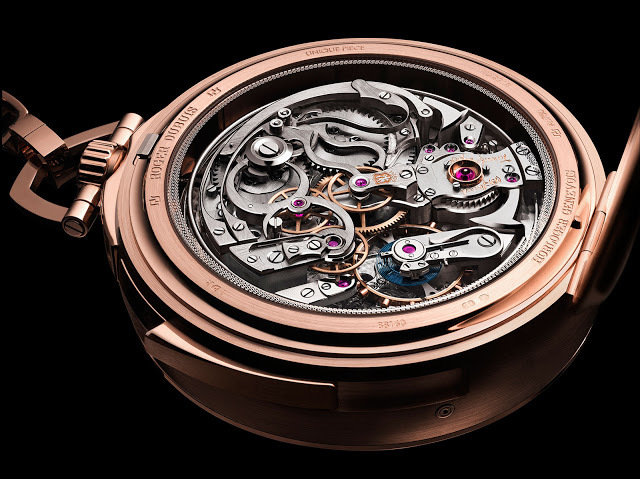 Christened the calibre RD181, the movement was not only restored and finished for the Hommage Millésime, but the perpetual calendar was modified. The traditional four sub-dial calendar made way for the brand’s signature bi-retrograde perpetual calendar, one of the first complications Roger Dubuis invented for his own brand. 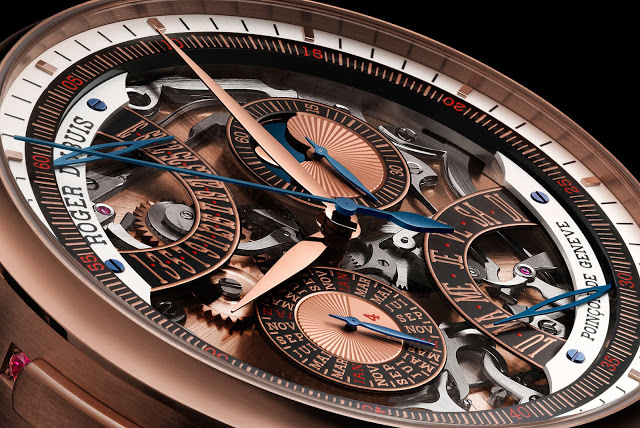 The Hommage Millésime has no dial, revealing the levers and gears of the perpetual calendar on the front. And on the rear a hinged back lifts to show off the movement, exquisitely finished. 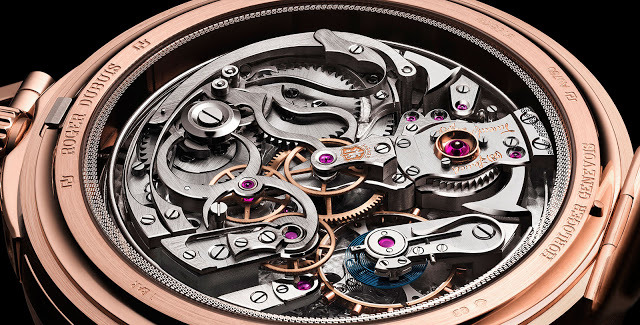 Its 19th century origins are evident in the details of the movement, from the balance staff endstone that lacks a shock absorbing spring, to the large ruby in a raise gold chaton on the minute repeater train bridge. The wolf’s teeth wheels are another details rarely found on modern movements. 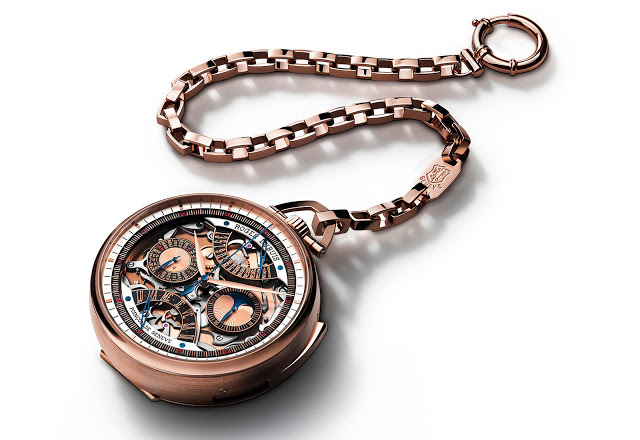 The pink gold case is 60mm wide and 22mm high, and fitted to a matching pink gold chain and clasp. 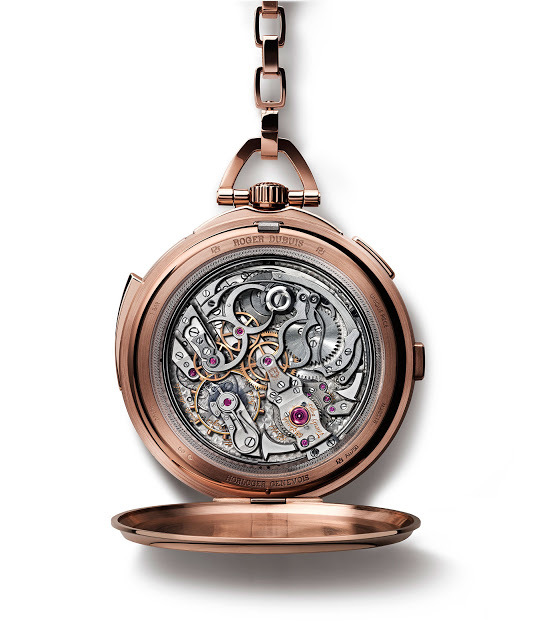 The Hommage Millésime pocket watch is a unique piece, intended to mark the opening of the Roger Dubuis boutique in Geneva in July 2015. Each forthcoming edition of the Hommage Millésime will similarly be to commemorate specific events, and available only at Roger Dubuis boutiques.